When I first started blogging I had a privileged opportunity to review a rug from Mohawk Home. That beautiful rug remains in the same high-traffic location today. The quality completely intact. Naturally, when I sought to transform a bedroom into a home office/sitting room, Mohawk was the first brand I sought in finding the perfect accent rug. They have the absolute best selection of high quality affordable rugs, or let's just say the best selection of rugs. This is something I've looked into extensively, and Mohawk is a brand that really stands out among its contemporaries. 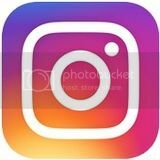 Georgia based American Rug Craftsmen is dedicated to employing the latest technologies to produce top quality rugs as well as employ the best methods in reproduction to to ensure a environmentally sound process and product. Looking for that perfect rug? American Rug Craftsmen offers fourteen collections to choose from. I chose the Nag's Head from the Madison collection to tie in a both color elements of a taupe futon. I adore this rug. It ties the furniture hues in nicely while creating a striking focal point for the room. You don't have to worry about off-gassing issues when receiving these rugs. I am very sensitive to chemicals so being in the same room with new carpet or furniture is a big plus for me . Other positive factors are high durability. I know from past experiences, that as affordable as the rugs are, they do last. When decorating on a budget It's nice to know that I'm getting a lot of bang for my buck. It's really great that you can find Mohawk just about anywhere, brick and mortar or online. I have a Mohawk rug in my family room. It is very good quality. I am constantly getting compliments on it. I actually own this rug and it's so beautiful; more so in person. I would love to have a mohawk rug! They are all so pretty! I have always herd great things about Mohawk Rugs. I have been to their site and they have some beautiful rugs. These are gorgeous. I think we will go to hardwood and a rug would really accent it. I would love to put a Mohawk rug in my living room. We have hardwood floors now and a new grandson who is almost a year so yes he is crawling everywhere and a rug would be lovely. thank you. I have a house that was built in 1910 and has hardwood floors through out, these Mohawk rugs would accent them wonderfully. I love that you address off-gassing. I too am very sensitive to scents and I love that you did not experience that with these rugs. I get just horrible migraines with chemical smells, and have gotten really sick from rugs in the past. I love their vast selection. 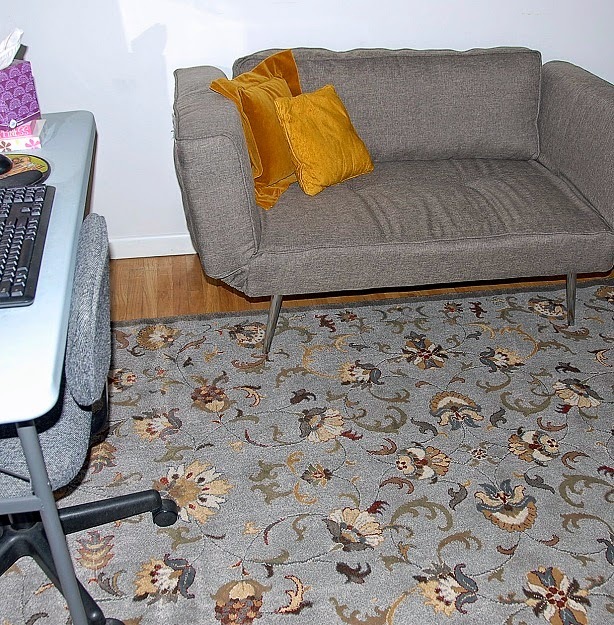 From my experiences, their rugs have always been very comfy and reliable. I've heard of mohawk american company, but never checked them out. After seeing how beautiful the rug is that you got, I'm definitely going to look around their site! I love Mohawks rugs. I have wood flooring in my den and the Mohawk rug adds a pop of color and warmth to the room. Mohawk has a wide variety of designs that I love. I own a Mohawk rug and they are great quality. Mohawk makes beautiful area rugs and I love that they are crafted in the USA. I have seen a lot of reviews on Mohawk Rugs, I love their selection! I love the colors of the rug. It looks like it is quality made. That rug is very nice. We have hardwood in the house but also a lot of area rugs so my dog doesn't slip. My husband and I were just discussing how we need new rugs for the living room. I think that rug is so pretty. I never owned a Mohawk rug but I really like them. i would really like to have a good quality rug for my living room! That's a really beautiful rug that you have pictured! I really like that it's decorative, but still fairly neutral in color. I have an area in my home where a rug like that would look great! That rug is very pretty! It would go perfectly in the bedroom! i also have a Mohawk rug and love it! I'd love to get the Cocoa Ink Swirl pattern for my family room. 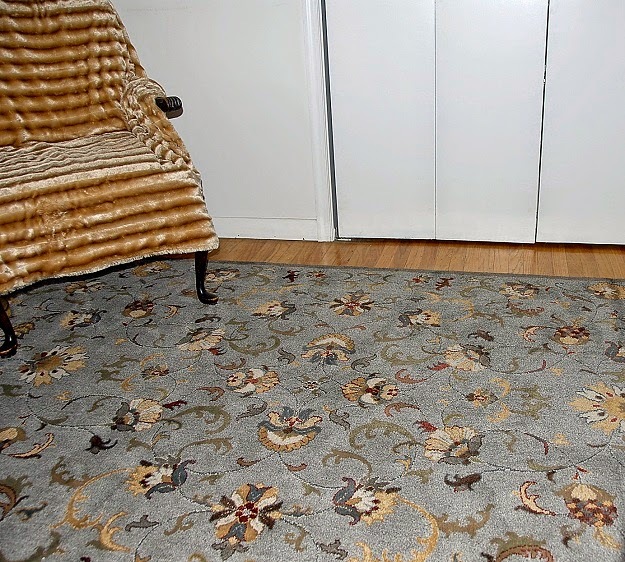 I do not have any rugs in my home and the mohawk rugs would go great in my entryway. This would be great in the basement! I love the Mohawk rugs. They are durable and long lasting! Mohawk has some of the most beautiful rugs I've ever seen! I need a new rug for my home entry way! I love how Regal the blue rug looks. I really like the look of Mohawk Rugs. We had one that was wonderful until our dog chewed up the corners as a puppy. My house flooded while I was in the hospital, so the carpet and padding had to be pulled up and thrown out. I hope to be able to have hardwood floors installed. Then I am planning on buying some rugs on top of the hardwoods. The Mohawk rugs are very well made and there are so many styles and patterns to choose from. They will make my house look so much better. I hope to win one, but I plan on buying several whether I win or not. Goid luck to all the entrants. Mohawk is in GA and I have been there once. Mohawk has great products for fantastic prices. I love their area rugs. The one you got is really pretty. i think rugs give the perfect accent to any room! I've always heard such great things about Mohawk rugs. The rug you picked out is beautiful and I'd love the chance to pick one out for our home that'd fit our space perfectly. Mohawk has so many beautiful patterns and colors to chose from... I would love a nice colorful one for my foyer. That rug is beautiful! I have a Mohawk Home area rug in the living room. Made in the USA? I'm sold. Since learning Mohawk is made here, I be sure to buy them ALL the time. I LOVE that Target carries them.. Of course... LOL I love Target. I like that you can also go online and see their whole collections. I love that COLOR is coming back.. I'm sick of neutral everything. NO off-gassing? Even better! These rugs are absolutely beautiful. Rugs are a great accent to any room. This is a gorgeous rug! I've been looking for something just like this for our dining room. Our floors are so cold, I'd love to have this! It would go perfectly in the den! I recently moved into a home with hardwood floors for the first time. I am learning the importance of a excellent area rug. Thank you for the excellent review. I will definitely look into Mohawk. I love rugs because they are an easy, non-permanent way to make a major cosmetic change in a room. We're using an old rug in our living room that I'd love to replace! Love the pattern and the colors. I've been looking for a new rug for a while now! I love the colors and texture of Mohawk Rugs. I love the fact there are so many choices! I have several rugs in my home and would love another. They really make the rooms look great! Beautiful rug -- love the color and pattern. Would look terrific in my family room. I love the style and the print you choose, such a beautiful accent to any room. Great quality too! I could really use a new rug in the kitchen and a really small rug at the base of my stairs that doesn't keep the entry way door from opening all the way. I like this rug because it has nice color contrast and an elegant feel. I really like the design on the Mohawk rug and especially the boarder, it's nice that it doesn't have fringe. I am in need of a new area rug, this one would be so perfect! This rug is beautiful and it would so match my room . I like Mohawk rugs, I saw a few at Walmart and am trying to decide which one to get for my living room. I live in a mobile home and the floor is so cold! I would love an area rug to make it more comfortable. The Rug shown is beautiful! Glad you mentioned not having to worry about off-gassing issues , my other half has very sensitive skin loves laying on the floor & binge watching tv. Mohawk is a name that I trust. My daughter's living room rug is a Mohawk and has withstood 4 years and two dogs! Beautiful rug with excellent quality. I love the colors too. American Mohawk has such great quality rugs! I especially like the items in the Madison collection. We just moved into a new place & are looking for a rug to give our dining area a pop of color. Mohawk is known for quality, so this would be just the thing! My home would definitely benefit from a Mohawk rug. My floors are pretty bare and boring right now. I love that their rugs are so affordable. I like to use area rugs to protect the floor in every room we spend a lot of time in because I have a destructive toddler, and it is hard to find an affordable rug that is still fashionable. my daughter has hardwood floors in her room, however with no heat upstairs in the winter this can be very cold! I've been looking for a nice sized carpet to go in her room and am impressed with all the different patterns and shades that Mohawk offers. I just had my wood floors refinished and have been looking for area rugs, these are gorgeous! I really am considering buy 2 of them. Thanks for the post! Gorgeous Rug. Mohawk means quality! A few years ago we put hardwood floors in our whole house. While I love the look, there are areas in which an area rug would soften our decor! I really love this rug! I need one for my living room area. We have been looking for one for a while but couldnt decide. we like this one! I own one Mohawk rug, it still looks great and the quality is very good. I would definitely buy another one. Pets and children have totally destroyed my living room rug. I could definitely use a new one and Mohawk has so many beautiful ones to choose from. I love the colors in the rug-beautiful ! The rugs look beautiful and well made! The name of this company caught my eye! I love buying anything American made!! I love how well the rug matches the couch. We are looking for a rug for our little guy's room but it's been hard to find a good color match. I love how pretty their rugs look. They have several styles that would fit right in our home. I have heard that Mohawk rugs are quality and last. I have spent quite a bit of time browsing their large selection and someday will have one of my own! I love the attention to detail in this rug! I love Mohawk rugs, they are so beautiful and are of great quality. We have a Mohawk rug in our living room...so crazy how a simple rug can turn the room around!! beautiful rugs that brighten up any living space ! i also love the fact that they are crafted in the USA. I LOVE the quality of the Mohawk Rugs. It's very hard to find that in a product now a days! Ive always heard great things about Mohawk and they have such a big selection. They have some beautiful patterns! I love the Medallion Gypsy! I love how rugs are easy to switch out and they totally change the look of a room. I JUST LOVE the quality of the Mohawk Rugs. It's hard to find that in a product now a days! I honestly love their rugs they are so beautiful but the first thing that grabbed my eye was the big beautiful dog. I really liked the unique patterns on this rug. Currently my rug is western and I am ready for something more modern. These rugs are fabulous! We just put down wood flooring in our living room area and it could desperately use a rug! I love that they are very affordable and are very versatile. No chemical smells is a great plus too! This rug is gorgeous! I have heard great things about mohawk rugs. So many great designs. I like that these rugs are made in the usa. Mohawk makes wonderful rugs! I would love to get a Mohawk rug for my dining room. Mohawk delivers consistent quality and wonderful design options. 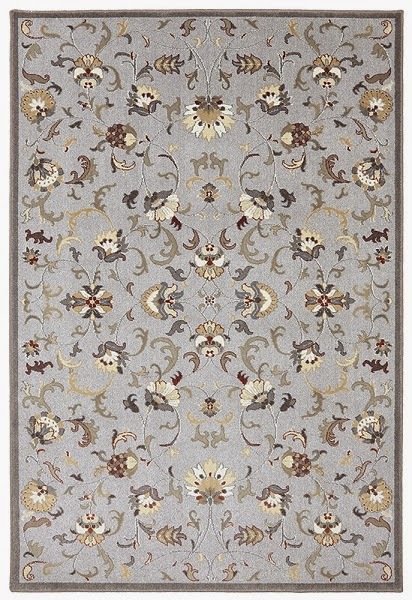 The featured rug is an artful bridge between traditional and transitional design. I love that Mohawk rug are made in the USA!!! Mohawk Rugs, are the best I have wanted one for living room so bad. I would like to have a pair of the Easy Spirit Womens Traveltime142 Athletic Mules! I need a new rug in my family room..my son has destroyed our current one...I really love the pattern of this one! Wow, they have some great looking rugs! We need a new rug or two and this looks like a great place to find a couple! I like the size of the rug, so many different styles. I've been needing a good one in the living room. The Mohawk rugs look beautiful! We're looking for a new rug for our living room - two boys running around on it has worn ours down. So many pretty rugs! I need something new in my living room. i love love the pattern choices they have available,,so lovely!! I love Mohawk rugs. There patterns are so diverse. I am very sensitive to smells, so I appreciate that there are no off gassing with these rugs! Beautiful colors and sharp detailing is so pretty! Beautiful rug. This would look great in my bedroom. I have hardwood under the carpet, and am looking for some beautiful rugs so I can pull up the carpet. Wow I love these rugs! So many different designs, colors, and sizes for every room in my house. The quality is excellent and the colors vibrant! I love Mohawk. They make high quality rugs that are great looking. The prices are awesome too! We're just moving into a new house and are looking for a nice large rug. I love the look of this rug! I love the color combination rug you chose. It looks great! I have my mom's old rugs because she replaces them every so often. Well,l they're not exactly old. Just less new, lol.... I like this rug in your pictures. Looks like it would match Anything. I absolutely hate my carpet....and would definitely put rugs over some nice hard wood. Rugs are much easier to clean, replace. I like the Townhouse Rugs Artifact Patchwork Area Rug, 60 by 96-Inch - it will be perfect in our study area. Mohawk Rugs come in so many wonderful patterns and designs which I love to decorate my home with. I love that they make a high quality rug that will last for years to come. I love Mohawk! Great stylish rugs! This is going to look beautiful in my son and daughter in laws new home.then one for me,thanks for sharing. i really like the Octovation in grey. I am really in need of a rug and I love all the mohawk rugs , they are beautiful! Would luv a rug for my room and this is perfect! What a beautiful rug! We have a Mohawk rug & they really are the best quality! I would love to have this for our sunroom! What a beautiful rug. I really like the colors. They match the futon well. The rug quickly becomes a nice focal point for the room. It's so hard to narrow down which rugs are prettiest! Any of them would improve my apartment greatly! One of these awesome rugs would really help to put some warming comfort and color into my home!! It's amazing what a good rug can do to pull a room together! I need new rugs throughout my home and Mohawk is such a great company! i like greys on it. i would love to own a mohawk rug. I have heard great things about the Mohawk brand. The colors look great with that futon! We own a Mohawk Rug & love it! They're the best! Mohawk rugs are high quality and easy to spot clean too! We just recently moved and have not yet been able to afford a area rug. I really want to have one because we are renting and I don't want the carpet to get ruined and not get our deposit back later. I have always loved how area rugs look anywhere though! Super cute rug-I love the detailing and plushness! I hadn't heard of American Craftsman Rugs. Love Mohawk though so wouldn't hesitate to try them out too! I hear and read nothing but positive things about the Mowhawk brand. I love Mohawk rugs, they are great quality and come in beautiful colors. I wouldn't mind another won! those rugs are beautiful and i hear the quality is wonderful. I love the variety of colors to choose from too! I need a new area rug for my living room. The colors are great, and it is nice that it is made in the USA. I love this rug! Super cute pattern and colors! We are moving and I have been searching for the perfect rugs. Between Mohawk and American Craftsman Rugs there is so much selection. My new Master will be grey and I love the rug you showed pictures of. It is just beautiful. I own a Mohawk rug and I love it. You absolutely cannot beat the quality for the price. I'd love another! I think you choose an excellent color to complement your sofa and chair throw. Mohawk has beautiful rugs and a name that they stand behind! I have always admired the selection they have and I have heard that they last a lifetime if taken care of! Mohawk really does have a nice selection of rugs. I love that carpet with your couch! My aunt worked for Mohawk over 20 years. The rugs they produced were of top-notch quality. She was very happy with company and spoke highly of their products and craftsmanship. I use to own a Mohawk rug but lost it in move. I hope to have another one someday. They're really gorgeous, durable and made of quality material. i really love the colors in this rug. i have been considering using yellow and gray in one of my rooms. I have a Mohawk rug in my bedroom , I need to get one for my living room . The colors of this rug would be a perfect match for my décor! Mohawk has always been know for quality and this rug is exceptional. The colors are so versatile and would look absolutely lovely in any home. I LOVE it! This is a beautiful rug. There is something conforting about a nice rug. We could really use a new rug. Mohawk has a lot of great options. Beautiful Mohawk rugs! My daughter is having a difficult time finding lovely area rugs at an affordable price. I have wanted a Mohawk rug for years, they have such a nice selection. I love how nice the rug looks! It is big, nice colors, and it looks like a good quality rug!